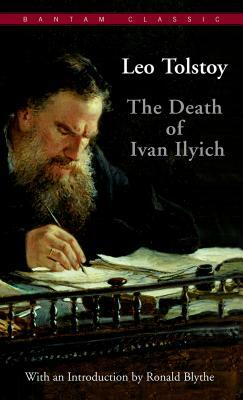 Hailed as one of the world's supreme masterpieces on the subject of death and dying, The Death of Ivan Ilyich is the story of a worldly careerist, a high court judge who has never given the inevitability of his death so much as a passing thought. But one day death announces itself to him, and to his shocked surprise he is brought face to face with his own mortality. How, Tolstoy asks, does an unreflective man confront his one and only moment of truth? This short novel was the artistic culmination of a profound spiritual crisis in Tolstoy's life, a nine-year period following the publication of Anna Karenina during which he wrote not a word of fiction. A thoroughly absorbing and, at times, terrifying glimpse into the abyss of death, it is also a strong testament to the possibility of finding spiritual salvation. Count Leo Nikolaevich Tolstoy displayed an extraordinary duality of character in a life filled with deep contradictions. He was born to an artistocratic Russian family on Sept. 9, 1828. His parents died when he was young, and he was raised by several female relatives. In 1844 he entered the University of Kazan, remaining there only three years. At the age of 23, Tolstoy joined the Russian Army and fought in the Crimean War. While still in the service, his first published story appeared, a largely autobiographical work called Childhood (1852). Tolstoy returned to his estate in 1861 and and established a school for peasant children there. In 1862, he married Sofia Behrs and gradually abandoned his involvement with the school. The next fifteen years he devoted to managing the estate, raising his and Sofia's large family, and writing his two major works, War and Peace (1865-67) and Anna Karenina (1875-77). During the latter part of this fifteen-year period, Tolstoy found himself growing increasingly disenchanted with the teachings of the Russian Orthodox Church. In the ensuing years, Tolstoy formulated for himself a new Christian ideal, the central creed of which involved nonresistance to evil; he also preached against the corrupt evil of the Russian state, of the need for ending all violence, and of the moral perfectibility of man. He continued to write voluminously, primarily nonfiction, but also other works, such as The Death of Ivan Ilyich (1886). In 1910, still unable to reconcile the differences in the lives led by the aristocracy and the simpler existence he craved, Tolstoy left the estate. He soon fell ill and was found dead on a cot in a remote railway station. He was buried on his estate at Yasnaya Pulyana. ?